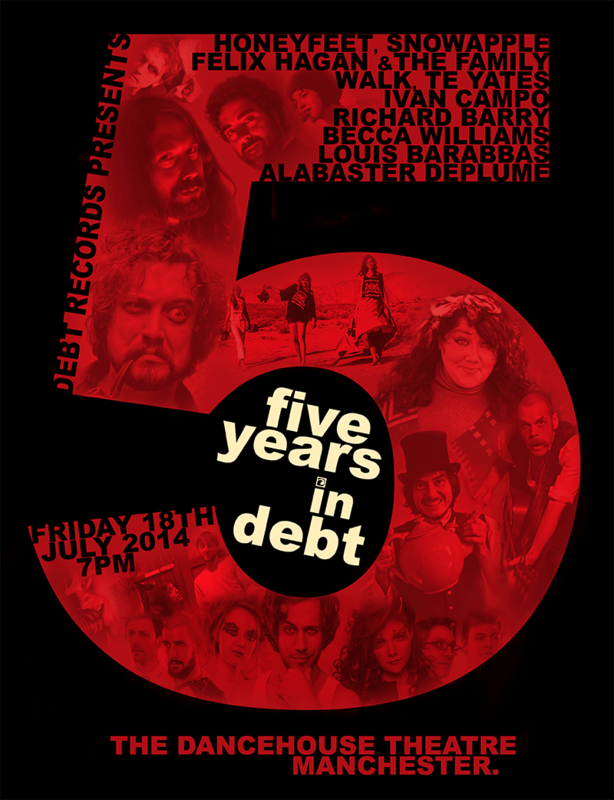 To celebrate our fifth year as a label we will be putting on a big show at the Dancehouse Theatre in Manchester. The Dancehouse was also the prestigious venue for our launch night back in 2009. The event will take place on Friday 18th July and feature performances from Honeyfeet, Snowapple, Felix Hagan & The Family, Walk, T. E. Yates, Ivan Campo, Richard Barry, Becca Williams, Alabaster dePlume and Louis Barabbas. Tickets are available from the Dancehouse Theatre box office.